USAF Plant 42, Lockheed Skunk Works, Northrop, NASA Test Flight Center, Palmdale Ca. The Antelope Valley is home to numerous military facilities along with many government contractors working within the Military Industrial Complex. 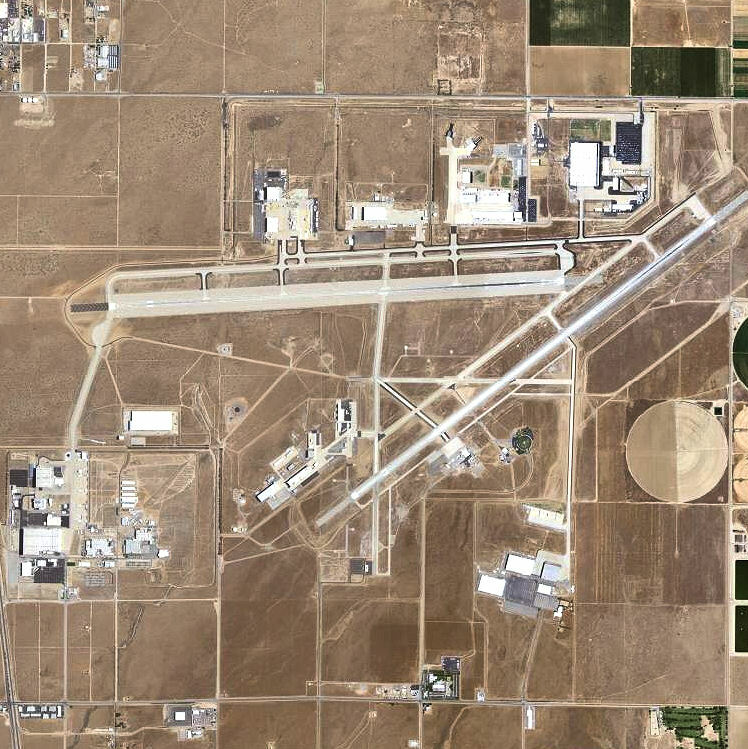 Centered between Palmdale and Lancaster, Ca., on 300 acres is the USAF Plant 42 test facility along with Skunk Works, Northrop Grumman, Boeing, and the NASA Armstrong Flight Research Center. North of here just east of the town of Rosamond is Edwards AFB. Further north is the U.S. Navy’s China Lake facility. Also scattered throughout the entire area are other black budget facilities located not only on the valley floor but tucked away in the mountains and forests surrounding our valley. Have you ever wondered why the government has taken possession of large areas of land in National Forests? I have lived in the Antelope Valley since 1992 and having my business located only a mile away from the USAF Plant 42 I observed a variety of military aircraft in our skies. Even before being made public I would see the stealth aircraft in the skies over the Antelope Valley on a regular basis along with the well known Blackbird and U2. Many days it was like attending an air show. My father in law was an engineer for Lockheed working at Skunk Works but of course, would never say much about the projects he worked on. He would usually just smile when I would ask the wrong questions. On one occasion in the early 1980’s he mentioned the title of his clearance, “Behind the Iron Curtain”. I had never heard this term as far as a clearance nor have I ever been able to find any information on that term. He would not only work at Skunk Works but during the mid-1980s and into the early 1990s was flown to and worked at Area 51. Remember the Aurora Aircraft? The Aurora is rumored to be a top-secret aircraft that has been in development since 1989. 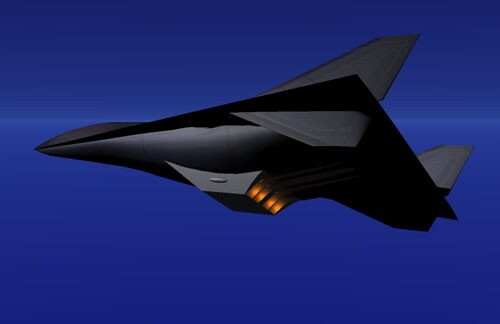 It could be a successor to the Mach 3.35 Lockheed Martin SR-71 Blackbird craft that was retired in 1998. Of course, I have no proof other than what my father in law stated and showed me but the Aurora does exist. One day in 1995 my father in law who had retired around 1993, walked into my shop dressed in a suit and tie. I asked him what brought him to the A.V. because he lived 50 miles away in the San Fernando Valley. He stated, in essence, he had spent the day at Skunk Works for a show and tell day for some government bigwigs and just stopped by to show me something. As we were talking he kept nervously looking at his watch then stated, “let’s go outside I want to show you something”. As we stood outside I heard the loudest roar of some type of engine sound coming from the sky. I mean, it was loud… Sounded like the sky was being torn apart… My father in law pointed to the sky and I saw the doughnut on a rope contrail signature coming from basically an unseen craft due to its altitude. My father in law then stated, “That’s the Aurora, that is the aircraft I have been working on”. The doughnut on a rope contrail is the signature of the pulse detonation engine used on the Aurora. The family will never know what all he did but what he did talk about was quite interesting. I believe people would be amazed at the advanced aircraft that are owned by our government. To a point, it is understandable due to the world we live in that most of these advanced crafts are shrouded in secrecy. Many of these crafts have been revealed and of course many like the TR3B and others will never be revealed. It does, however, give us a pretty good idea where our tax dollars are being spent. While allegedly working at Area 51 in the late ’80s, Bob Lazar claimed he observed the Aurora on the tarmac. This is an artist rendering of the Aurora’s aft engine based on Bob Lazar’s observations and description of the craft. Artist rendering by Sean Gautreaux. I won’t get into the history of UFO’s here but if one does their research they will find credible evidence dating as far back as 800-1200 BC. Of course, there are contrived and Photoshop-ed video, movie film and photos but at least 10% of sightings are real unexplained craft and not part of government black projects. Let’s take a look into the Black World of the TR3 and others such as the Tr3A Black Manta, TR3B and other possible variants that many times are mistaken for UFO’s. From Wikipedia: http://en.wikipedia.org/wiki/TR-3_Black_Manta , ” The TR-3A Black Manta is the name of a reconnaissance airplane of the United States Air Force speculated to be developed under a black project. The only real “evidence” for such an aircraft is based on speculations about several “Reported” sightings of mysterious flying wing aircraft in a track of the California desert known as Antelope Valley. This stretch of desert draws black project fanatics because it is close to several known military research and testing areas, such as Edwards AFB in California, United States Air Force Plant 42, and Groom Lake in Nevada”. From Military.com: http://www.military.com/video/aircraft/military-aircraft/tr-3b-aurora-anti-gravity-spacecrafts/2860314511001/ It doesn’t exist officially. 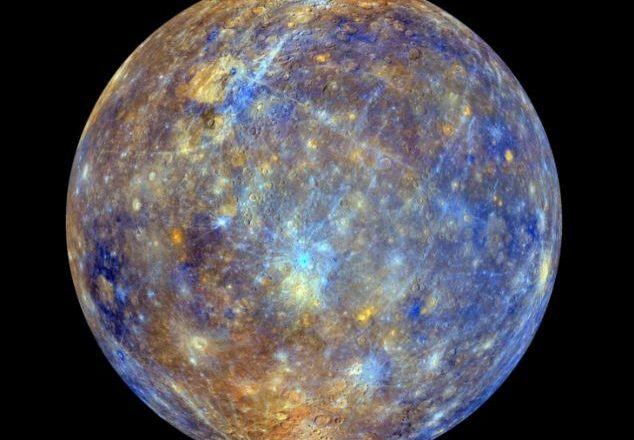 It uses highly pressured mercury accelerated by nuclear energy to produce a plasma that creates a field of anti-gravity around the ship. Conventional thrusters located at the tips of the craft allow it to perform all manner of rapid high-speed maneuvers along all three axes. Interestingly, the plasma generated also reduces the radar signature significantly. So it’ll be almost invisible on radar & remain undetected. This literally means that it can go to any country it likes without being detected by air traffic control & air defense systems. See below, photos taken by Jim Kerr back in 2013. 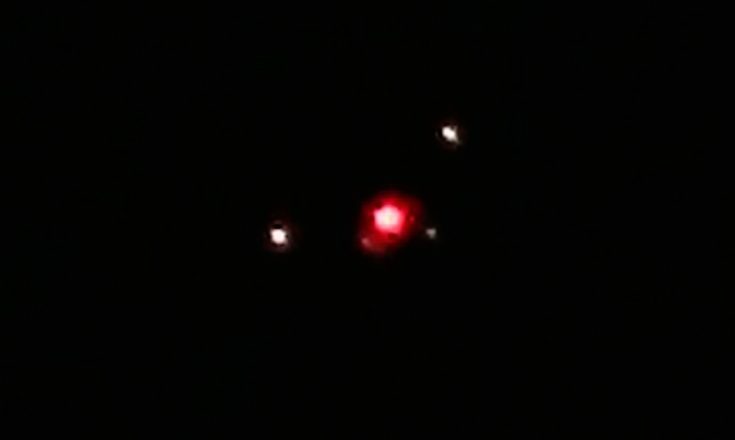 On July 24, 2013, @ 9:00 pm my wife and I observed a craft take off vertically from USAF Plant 42 installation in Palmdale, Ca. We were sitting on our front porch located approx 8 miles east of Plant 42. When we first noticed the craft, it was approx 1000 feet over the facility. We watched it slowly ascend vertically then It travels east directly over our ranch at low altitude, we heard no engine sound. This is an actual photo (still removed from video footage) of the craft taken over our house. It was a dark night, and when it passed overhead, it appeared triangular. On the following two consecutive weeks at 9:00 pm we observed instant replays of this craft taking off from the USAF Plant 42 facility. Compare my photo to the next photo of the Belgium Triangle Craft taken in Petit-Rechain, Belgium 1990. One can clearly see the similarities. I believe the Belgium Triangle and many others similar sightings are advance black project aircraft with highly advanced technologies. They appear to have anti-gravity capabilities and can travel at very high speeds. The photo (still removed from video footage) was taken by Jim Kerr on July 24, 2013, @ 9:00 pm. Another Strange Black Project Craft Seen in the Antelope Valley, Ca. Artist rendering (below) by Sean Gautreaux of a craft my son witnessed landing at USAF Plant 42 behind the Northrop building. On May 5, 2013, at approx 9:00 pm my son was driving to work westbound on Avenue N turning northbound on 50th street east. This intersection is on the east side of the USAF Plant 42 facility that also houses Skunk Works, NASA, and Northrop. He observed this craft flying westbound at a very low altitude passing directly over his vehicle. He had a clear and unobstructed view of the craft and the sky was slightly illuminated due to the city lights of Palmdale. 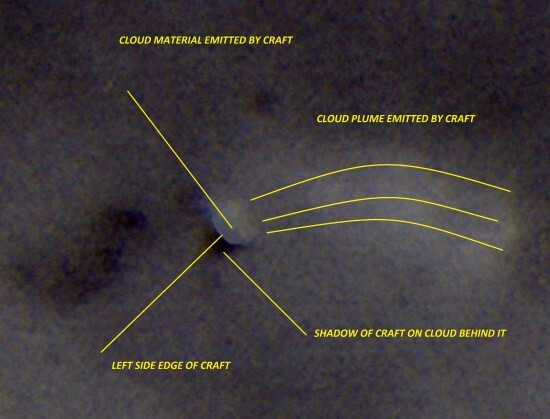 He described craft as square shaped, approx 250 ft across, moving very slowly as it traveled overhead and landed behind the Northrop facility at Plant 42. It had a large circular center port that was glowing red. It was very loud but did not sound like a typical jet engine. My son described the sound like a loud humming and clanking sound. He said it sounded almost the Pod Racer from the movie “Star Wars”. 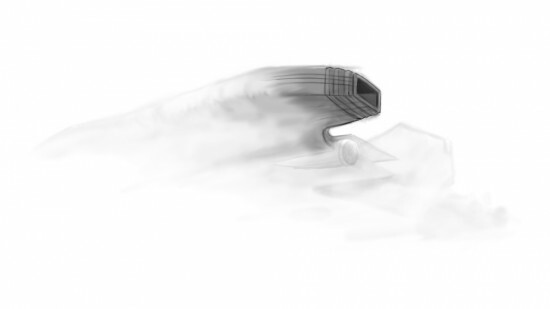 Based on the witness description of this craft it may be a variant of the TR3B. Artist rendering by Sean Gautreaux of a craft my son witnessed landing at USAF Plant 42 behind the Northrop building on May 5, 2013. UFO’s of the Antelope Valley, Ca. Here is a small sample of UFO’s I have captured over the Antelope Valley, Ca. since 2011. 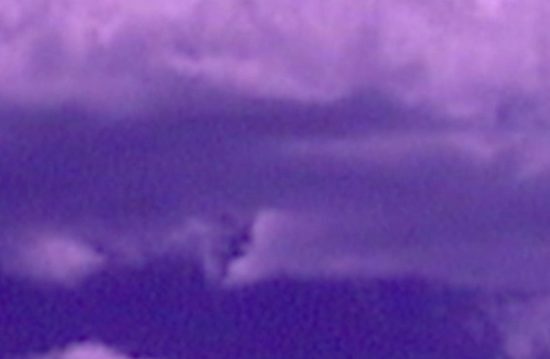 Still removed from full spectrum video footage of a possible Cloaked Cloaked Craft / UFO cruising just below the clouds. Note the wake of cloud material behind the object and the two rear ports that may be a propulsion system. This object made a sharp upwards turn and vanished into the cloud. September 21, 2012. Still removed from video footage of a UFO buzzing a chemtrail jet. This ufo was quite fast as it seemed to be harassing a chemtrail jet while spraying. Note what appears to be an energy field surrounding this object that may be obscuring a UFO. 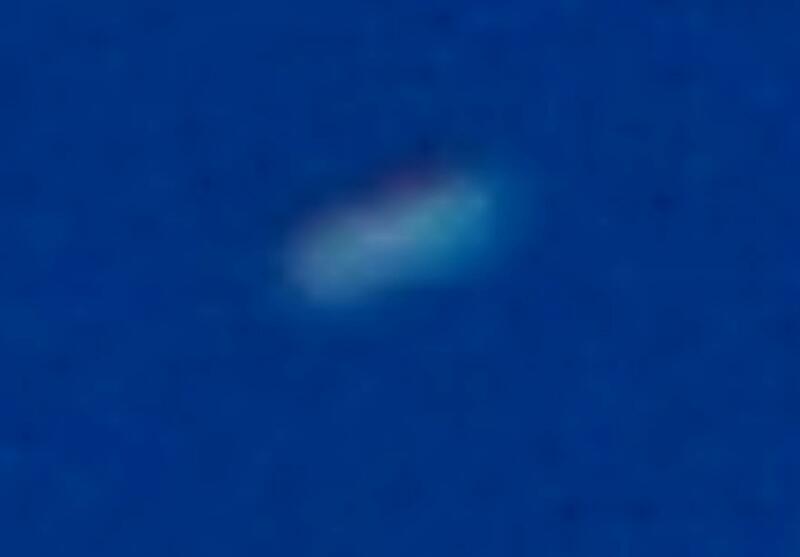 Cropped and enlarged photo of a UFO that was traveling in and out of clouds. Note what appears to be some kind of energy field surrounding the object. Very similar to the photo above this one. 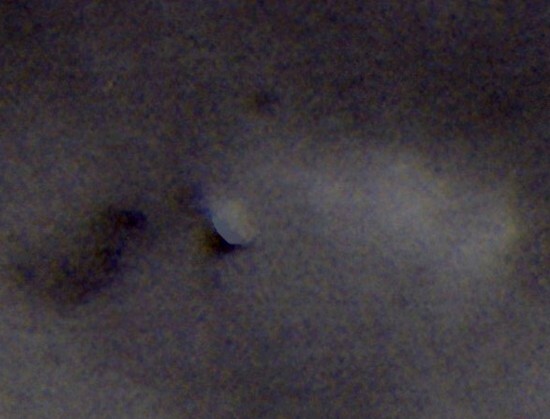 Black and White photo cropped and enlarged of two possible UFO’s. The larger is a triangular shaped craft and the smaller is a bell-shaped craft. Note the sun’s reflection on the upper portion of the bell-shaped craft and on the upper rear portion of the triangular object. Note the shadow the bell-shaped object is casting on the triangular object. I did not see the UFO through the small viewfinder of the camcorder while filming. I was filming the Chemtrail jet and didn’t see the UFO until I reviewed the footage. You may have to watch the footage several times and in the final clip of the video, one can see this UFO is disk-shaped. Also, notice the energy field surrounding this UFO. 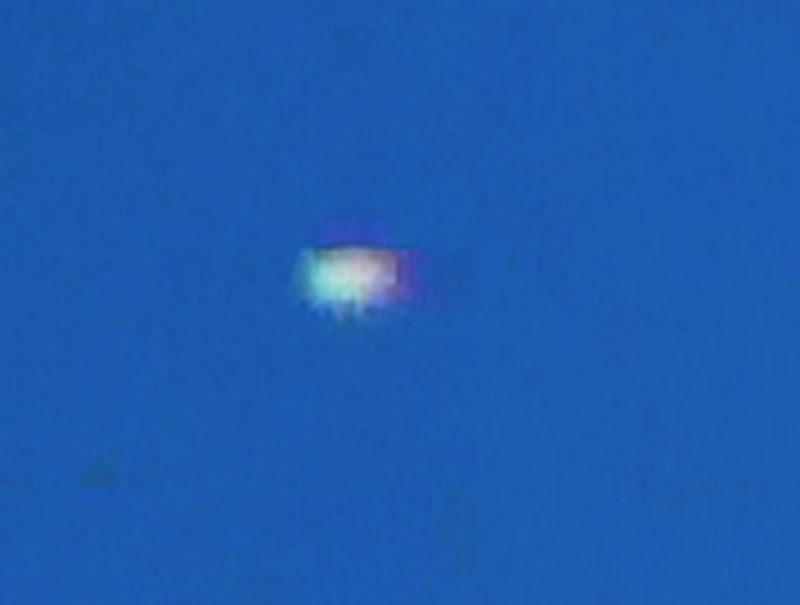 This UFO was over the airspace of the USAF Plant 42 which houses Lockheed Skunk Works, Northrop, NASA, and others. In the video screen below make sure to click on the Youtube icon and view the video in full screen, HD. This article is just a small example of what I have witnessed taking place in the skies over the Military Industrial Complex located in the Antelope Valley, Ca. I have seen and experienced more, much more. If one spends a little time researching the volumes of information available, one can soon come to the conclusion of just how much our government has kept us in the dark, lied to us and misappropriated our tax dollars dumping them into the Military Industrial Complex. The veil of secrecy is miles thick and we only have a glimpse of what is really taking place. 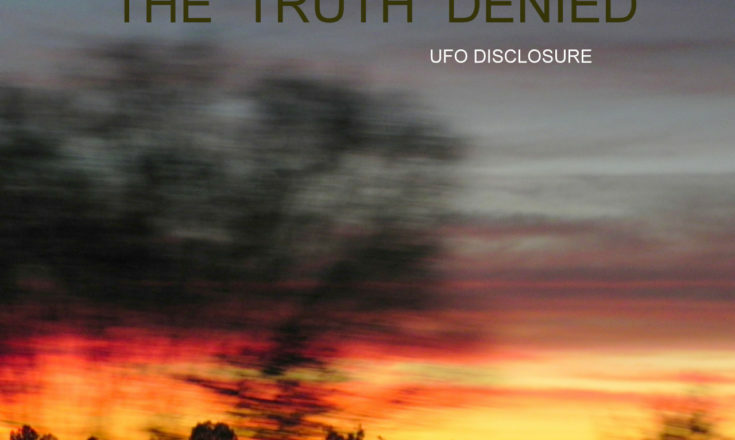 Are UFO’s, flying disks, cloaked cloud craft dating back over 1000 years real? I am convinced they are. I am also convinced the Military Industrial Complex has reversed engineered these craft just like Bob Lazar and so many more have stated. The big question is, who are the owners of these advanced UFO’s that have been documented for over 1000 years prior to man taking flight? I have my own opinion as to the answer to that question based on much Biblical research along with other ancient text. Check out the links below. These links are only a small sample of what is available. If you have an interest in knowing the truth, do your own research. You may be amazed at what you learn. Listed below is a small sample of available information for you the reader to be able to connect the dots to what is taking place in the Black Budget World of advanced technology, Black Budget Craft, Secret Space Program, Secret Military Bases, Underground Military Bases, Cloaked Cloud Craft, Bases on the Moon, UFO’s and more. There may be as much as $100 trillion dollars worth of hardware flying the skies powered by anti-gravity and field-propulsion technologies. This has significant implications for the ownership and design of manufacturing and energy infrastructure on planet Earth. It also has connections to trillions of dollars which are “missing” from defense and domestic agency accounts (as reported by official financial reports of the US government). To the extent that the US taxpayer has financed this technology (or its reverse-engineering) why should private corporations own it on a secret basis? Excerpts from Ted Twietmeyer’s article. See link below for complete article. The USAF Space Command – who are they and what functions do they perform? Now 25 years old, the agency it was formed it was announced with little fanfare. Since then, it has made all the noise of a church mouse stomping around on a padded carpet. We have heard virtually nothing about the organization in the media over all these 25 years. Let’s get back to the US Space Command, which is part of the US Air Force. The agency claims to have prevented space junk collisions in space. The question remains, HOW can they do it? It is known that the Space Command has advanced secret spacecraft to exit and re-enter the atmosphere without using rocket technology. This would include but not be limited to vehicles such as the TR-3 made by Lockheed, or also called the black triangle, Black Manta, etc.. Spacecraft with these capabilities would drive NASA engineers into insane jealousy if they knew about it. Undoubtedly, these triangles must be armed with particle beam or quantum weaponry, chemical lasers or electrically excited reactor powered lasers and other weaponry. These weapons could also be used to destroy objects in the path of the space station or space shuttle. There were several eyewitness reports of hovering black triangles firing at targets in Iraq during the early days of the war. There is a massive anti-gravity energy field surrounding these vehicles which interferes with all electronic devices, making it unlikely anyone could ever get images of them. War has historically been the best proving ground for all new weapons. In the UK, the press and media are forbidden under the UK Secrets Act from covering or reporting on sightings of black triangles. That act speaks volumes about whether or not black triangles exist. The TR-3 has been in service since the mid-1990s, and NASA’s space program is now nothing more than on-going entertainment (theater) to distract the public. The question is ­ when will the world be officially be told about the TR-3? Probably not until something else far superior comes along. This also means that anything NASA does in space is redundant, obsolete and an out-right annual waste of billions of dollars. Of course, their testing of fixed and rotor wing aircraft will always be an important function to perform ­ which is the “Aeronautics” part of the organization’s title. Only those at the very top of the organization would be privy to knowledge of advanced space travel, if at all. Mark McCandlish at the Secret Space Program Conference, 2014 San Mateo, Ca. Mark McCandlish is an internationally-recognized artist who has specialized in aviation and conceptual art within the defense and aerospace industries for the better part of the last thirty years, serving the needs of many of the top American corporations in this regard. How the back-engineering of off-world technology created powerful leverage for corporations to take over control of world government, establish an internationally-manned, secret space program and break-away civilization. Based on eye-witness accounts and insider information, Mr. McCandlish takes the audience through a series of revelations as to how remarkable breakthrough technology, may have been back-engineered from recovered or captured off-world vehicles, enabled aerospace and defense-related corporations to hijack control of governments worldwide, create a special access only, secret space program and develop a break-away civilization with its own goals and agenda. Click the link below for the complete article. Diego Garcia harbors more than one secret, some reports claim that the military is harboring an underwater base that allegedly utilizes alien technology. There seems to be photographic evidence of the existence of underwater bases as well. A Popular Mechanics investigation TRACKED DOWN SOME OF THE MOST INTERESTING ACTIVE MILITARY FACILITIES AND SPOKE WITH BRAD SCHULZ, VICE PRESIDENT OF FEDERAL ARCHITECTURE AT HNTB. HERE IS WHAT SHULTZ HAD TO SAY ABOUT DIEGO GARCIA. View the video below. Make sure to check out all the links, credits and information Roxy has posted in this video. Interesting side note from Jim Kerr. Today, 03-14-2015 I asked a good friend of mine who has a very good eye to see the unseen in photos and video footage to check into Diego Garcia via Google Earth. *NOTE in 2012 Roxy Lopez booked Don Croft for an interview on her radio show, and it was widely advertised. The day of the show, Don Croft was a no-show, although he did write in a week later to let us know that all of his internet went down moments before the LIVE INTERVIEW and his phone lines went dead. Don actually said that a week after we booked the interview with him, the FBI showed up to his dwelling. TTD has not been able to contact Mr. Croft since. 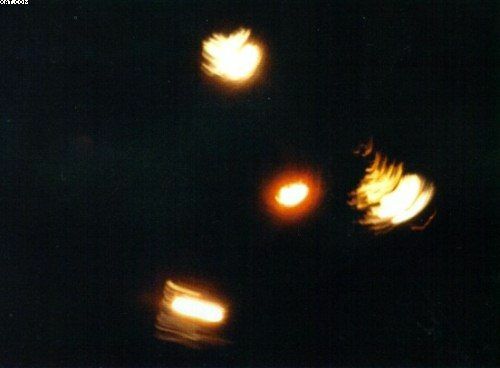 Photo of a triangle UFO taken during the 1989-1990 Belgium UFO wave, during which many people observed large triangle craft. The photo was allegedly made at the beginning of April 1990 (4 or 7 probably). The photographer’s girlfriend saw the object and gave him notice. Limited details are available about the sighting or the photographer. Since 1940, there have been millions of documented UFO sightings and reports. Where are they? DR. Eric Norton has worked with many top-secret government projects. He feels that NASA and other Government agencies are covering up a catastrophic event coming to earth in the near future. In this next testimony, he describes DARK SATTELITE IMAGES and shares them with us. View video below. 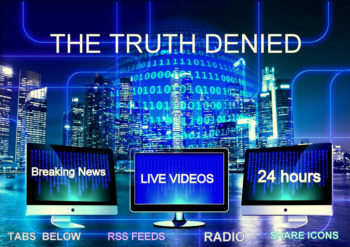 Make sure to check out all the links, credits and information THE TRUTH DENIED has posted in this video. Sean Gautreaux’s Youtube Channel IndustrialSurrealism is packed with video footage of Cloaked Craft videos where Sean explains and diagrams these craft. Visit Sean’s Youtube Channel to view his 19 part series on these craft. Also check out Sean’s recent book, What is in Our Skies Vol. 1 Diagrams available at Amazon. Jim Kerr is a retired police officer with an extensive background in criminal investigations. In 2011, Jim took an interest in Chemtrails / Geoengineering and began filming and documenting the skies over the Antelope Valley California, aka aerospace valley, in hopes of spreading awareness to this agenda. Within a short time, Jim began capturing strange anomalies in the sky that appeared to have a connection to Chemtrails. 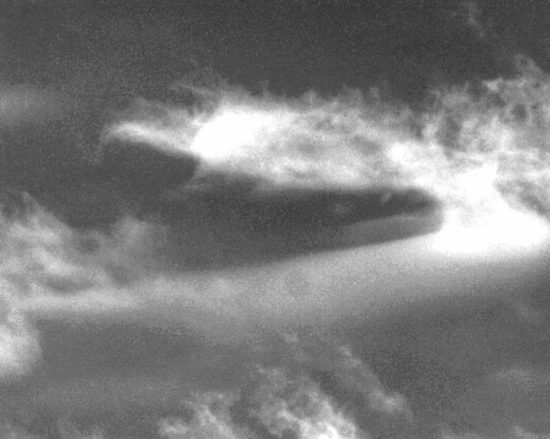 Anomalies consisted of obvious man-made plasma cloud experiments connected to HAARP type technology for weather control and other military applications, UFO’s that seen to have a strange attraction to chemtrails, Alleged Cloaked Cloud Craft that use technology to render themselves almost invisible but do have their glitches. 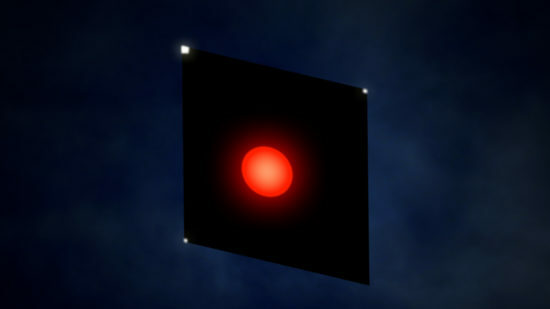 Jim is no stranger to UFO sightings having seen his first illuminated disk over the Santa Monica Bay at 2:00 am in 1973. Jim shares his finding with many researchers worldwide to collectively reveal the truth. the belgium picture was a fake. the guy who took the pic came out some years ago. it was a styrofoam model he made himself. Inky, Thanks for your comment. If you compare my photo at the top of this article to the Belgium craft they look almost exactly alike. We have seen this craft twice over our area at low altitude. Both times directly over our ranch. Even if the Belgium craft was a fake there is no doubt in my mind it is real. Seeing is believing. I had a sighting the spring of 2014 in the palmdale area. I observed right before sunset a small grey triangular craft. It looked like a minuture version of the ufos seen in the 1990s over belgium. This craft flew right over me. I kinda had a wierd feeling before sighting. I actually felt like an inner hum throught my body. I was in a small back house when it occured. It was the size of a car no windows reminded me of small manta ray. It was about 10 feet wide by 3 feet. I was so close to it i could have thrown a rock at it. I read the book triangular ufos by david marler i am familiar with ufos and characteriatics. I really dont think what i saw was military. It was hovering over my backyard. I saw it fly away it just looked like it disentergrated as it flew further west. Ive seen ufos and atangle blimps in the sky but i saw this very close up. Something wierd going on the antelope valley forsure. Aurora and Tr3b Is Top-secret and Take it down and it doesn’t Exist and u are leaking Top-secret Information. Hello Robert. Can you post a link to your footage or send us the footage? 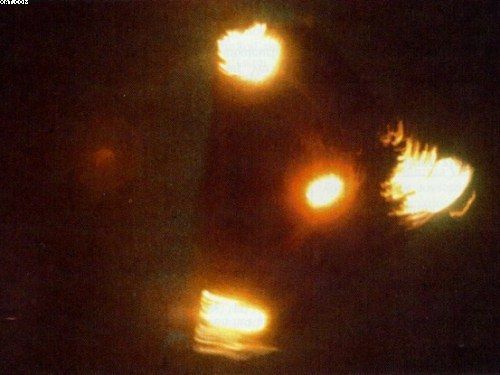 You have the BEST photo of the “t4-3b” black triangle ufo military craft – by far. I personally saw this craft so close I could have hit it with a rock but I didn’t dare take my eyes off it. I’ve studied the national UFO reporting center reports on this craft – it is often seen by military bases and often also seen accompanied by other military aircraft. An insignia was seen on the bottom of the craft, described online and then identified by someone else as the US Space center – or something like that. Also we know the Horton HO Nazi craft were designed on the same triangle – starting in the 1930s. thanks for your photo and testimonial. Hello, Drew. Thank you for your comment and visiting “The Truth Denied”. I’m glad you were able to see one of these craft. Thanks for sharing your sighting. They are truly a sight to behold. 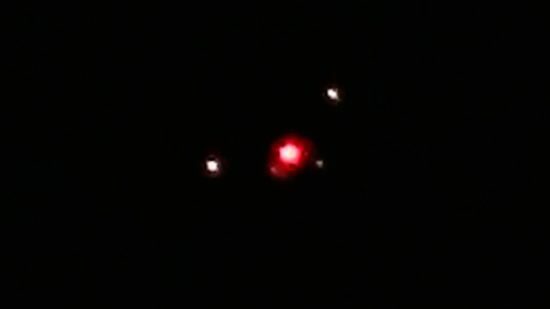 I have seen it a total of three times ascending vertically from USAF Plant 42 in Palmdale, Ca. It is amazing technology. Hi Brandi, thank you for your comment. I have never seen anything like you describe. Please post a detailed account of your sighting. I have seen this in downtown montreal, november 1990. I was on the sidewalk gawking with many people, it was there for hours! Media got involved, police too. They shut down nearby crane light from contruction yard and hydro-quebec logo, just to make sure its wasn’t glare or light bouncing off the smog. It was late and dark but despite the cloud/smog it could be seen often in full form. Huge triangle about two football fields in lengh. Three yellow/orange/red pulsating corner lights (antigrav shimmer?) A few more soft white lights underneath, very faint. And not a single sound or hum. It was mesmerizing. It just dissipated into a thick cover of cloud/smog passing by at one point and it was gone, lights and all. It was on the news and in the papers the next. Sadly most links to the event have very shoddy pictures, as i remember being a few very clear ones taken by camera crews and plenty of people had time to run and get cams in their hotel rooms. Some were close up. Anyway,, i somehow knew i wasnt witnessing aliens after a moment, it seemed more like a military test, maybe of their cloaking capabilities (maybe they were there all day) or of the effect it would have to be witnessed in a urban center and how easy damage control could be enacted. Either way i saw this craft, as did dozens more if not hundreds, and i thank you for your time taken in posting this very confirming article. By shear chance I am going to upload to youtube a video that i uploaded once that doesnt show much but our amazement and offset lights with flash of red light that was not visible at the time. What happened after i uploaded it last summer was very little views , i had a 1969 T/A for sale on another video what occured next i am still perplexed by … sorrycantseeme@gmail.com.. I think u search my youtube witth my email . Todays is 2-5-2018 in a couple days u can see and understand the situation and information and how by shear chamce all this real information and someones curiousity caused us to encounter one another cuz i had my comtact info on A classic car i was selling. I was contacted not to biuy the car but by a person who asked i take video down in summer and sometime in the first month of new year we would chat again . Chat we did and he validated his facts and his unusual behavior is explaonable now although it was confusing after we first talked …. You might want to take a few minutes around Feb 7 2018 to grasp the reality of this event..
Hi Jim, think we communicated briefly on facebook years ago, am blocked from facist facebook now, am using two other social media’s: https://mewe.com/myworld and https://www.bitchute.com/channel/0KWhoCjDoS81/ (that page is not loading correctly for me, appears all whited out). Anyways have seen black flying triangles three times in about 2003-2004; one hovering triangle pointed up above the California Dot scales in Corning, California, yellow light at each corner; another time flying slowly across the rice paddies coming from the west on I-5, the crimeline to points north and south, below Woodland, California. It hovered beside the highway as I passed with a set of doubles on the east side. The last time was last summer at about 00:30 behind wells fartgo on keystone cops avenue here in Reno, Nevada, saw a fairly large yellow light the west and it started coming towards me, glided silently, would guess about 100 feet above the ground, of course would never have seen it were it not for the city lights. No visible lights on the corners. Hi Dan. Thank you for visiting “The Truth Denied” Thanks for your comment and observations of this activity. Your sightings are very interesting and corroborated by others living in the Corning, Red Bluff, Cottonwood and Redding area. Of course these craft have also been seen worldwide. Just the other day I was talking with a regular guest on Coast to Coast and other shows about the UFO activity along the I-5 in northern California. I have no doubt some of this activity is top secrete craft from our government as I witnessed these triangular craft take off from Plant 42 in Palmdale Ca. on three separate occasions. I swear to god I saw that exact same ufo over Ventura Ca around March 2019 over the Ventura unified school district building on the avenue. It surprised me I could see it from hwy 33 headed to Ojai. It was the size of a school bus crazy no sound no movement I should of pulled over and got a picture no one believes this stuff.